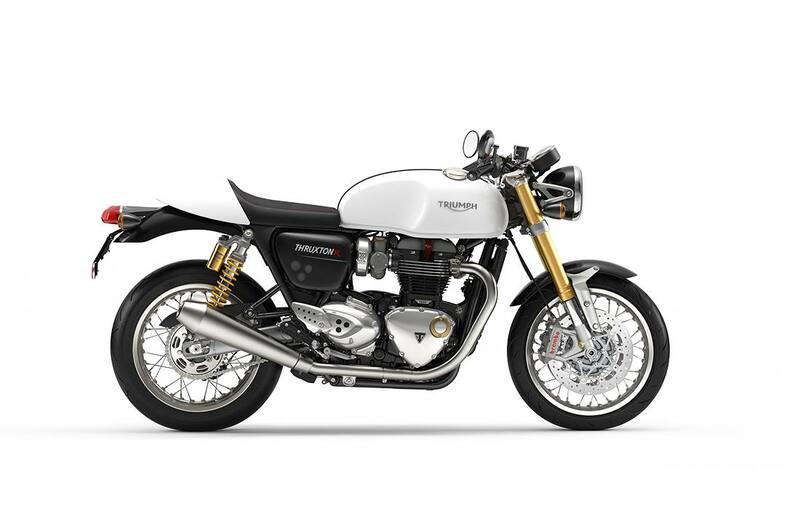 Higher Specification Braking with Switchable ABS: For even greater braking performance, the Thruxton R has twin floating disc Brembo front brakes with 4-piston radial monobloc calipers and single disc Nissin 2-piston floating caliper rear brakes. High Specification Suspension: Take café racer riding capability and handling up to the next level, with fully adjustable front Showa USD big piston forks and fully adjustable Öhlins twin rear shocks with piggy back reservoir. High Quality Wheels & Tyres: Lightweight 17-inch aluminium wheel rims each with 32 spokes, complemented by Pirelli Diablo Rosso Corsa tyres for premium handling, grip and performance. 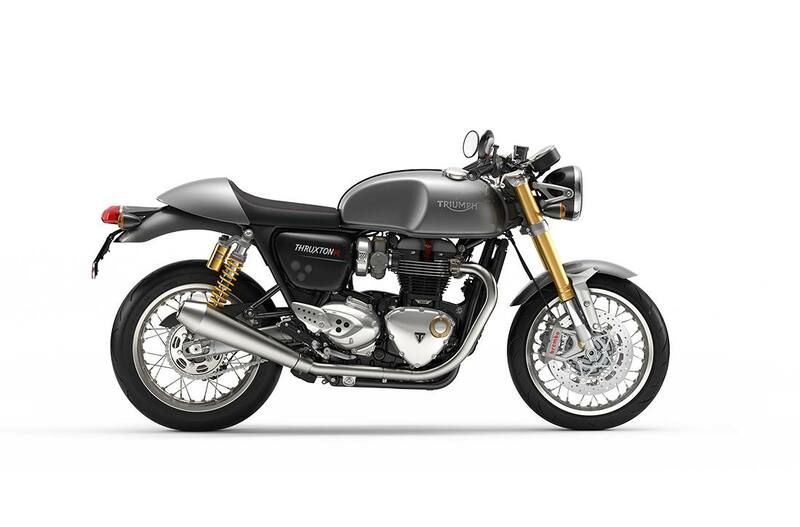 Switchable Traction Control: Taking advantage of the sophisticated ride-by-wire system, the Thruxton R incorporates a switchable traction control system that optimises the delivery of its outstanding torque when traction is compromised. This can be switched off via the instrument menu. 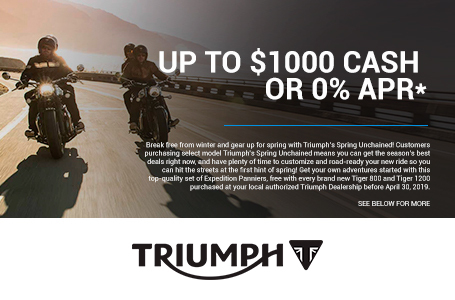 Torque Assist Clutch: Bringing a light touch and feel to the clutch control of the Thruxton R, the torque assist clutch system makes the bike easier to ride, and ride longer. Fingertip Controls: The Thruxton R switchgear presents a simple fingertip control scroll button for easy access to the key features on the digital clocks. Twin Feature-Packed Clocks: Stylish feature-packed twin clock (speedo and rev counter) with beautiful 3D dial faces that cleverly incorporate a digital menu system accessed by a handlebar-mounted scroll button. Key features include; riding mode setting, gear position indicator, odometer, two trip settings, service indicator, range to empty, fuel level, average and current MPG, clock, and access to turn off traction control and ABS features. LED DRL Headlight: A new contemporary standard, the Thruxton R headlight incorporates the latest LED Daytime Running Light (DRL) delivering a distinctive signature light pattern and enhanced power efficiency for long term durability. LED Rear Light: The LED rear light, incorporated into the classically-inspired and stylish tail set-up, bring a distinctive rear light pattern and power efficiency.